DXQY series machine can weld both heel and foot mat at the same time . The mould easy and fast to change . 1. The operator can use it after short training. 2. It adopts high quality components, stable and low failure rate. 3. It adopts sensitive spark protection device. When it sparks, it will cut off the high frequency oscillation power, protect mold and material. 4. Safe & rational design to make sure the slide table will not hurt hands. 5. Special & strong head: Special design makes the pressure equably to make the products perfectly. 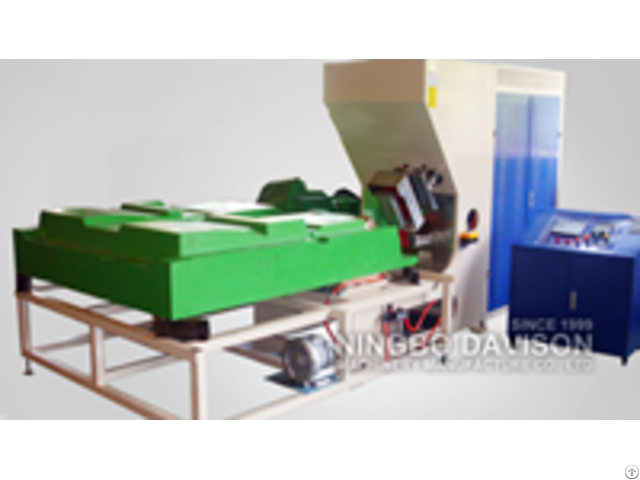 Business Description: Davison Machinery, established in 1999 by Mr. Huang Guosheng (davison-machinery.com), is a leading manufacturer and supplier of High Frequency Welding Machine in China, specializing in high frequency welding machine, ul trasonic welding machine and related automatic equipment. It covers an area of more than 8,000 square meters in Hi-tech Zone, Ningbo City, China. Davison Machinery continuously invests in innovative resear ch and development of new products, which are exported to different countries in the world. We insist on the "Quality Fir st, Service Best' business philosophy since the establishmen t of the company. 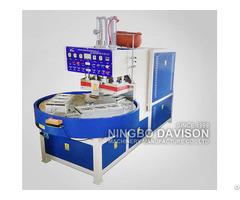 With the rapid development over the past years, Davison Machinery has won widespread praise and trust from clients. Your satisfaction is our eternal pursu it. Davison hope to cooperate with you to achieve a glorious future. Your future, We support!